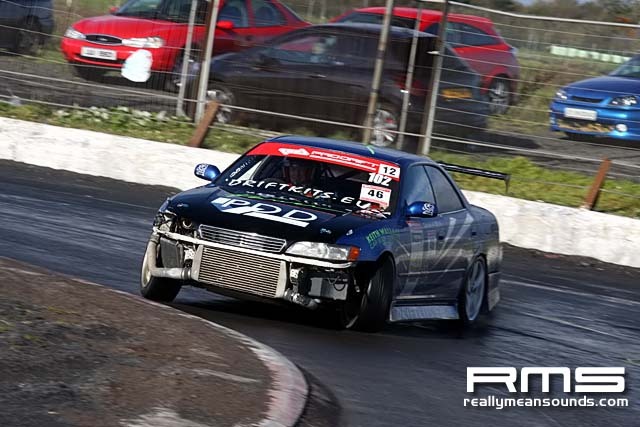 Dungannon driver Damian McBride took victory in the final event of this championship but not only won on the day but also won the championship too, Damian’s trophy cabinet is filling up rapidly between this championship, UDC and ProDrift. 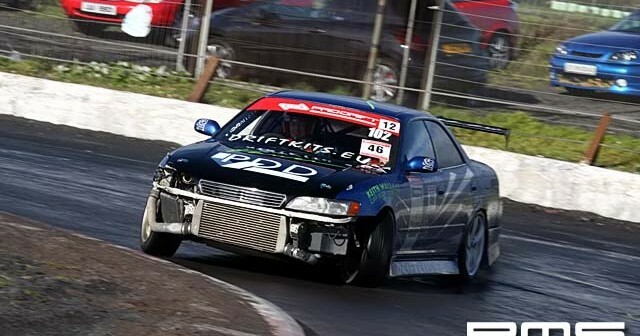 Chris Brady got to the final battle with his Nissan S14 and gave as much as he could to beat the JZX90 mkII but had to settle for second overall. Another favorite Richard Bradley got knocked out in the top 8 by Damian and Clive Heatherington was beaten by Tiny in the top 16 with Tiny steering his BMW 320i like a man possessed in the perfectly suiting wet conditions.